MS Serenade 1 – exclusively chartered by Titan Travel – oﬀers a stylish but aﬀordable way to cruise Europe. Do you get what you pay for, asks John Honeywell. Pinkies extended, a party of ladies takes tea in the lounge. There are dainty sandwiches and fondant fancies, and as waitresses hover and a pianist gently tickles the keys, we could be in any upscale country-house hotel. Except for one thing: the scenery outside the windows keeps changing. Welcome to afternoon tea aboard MS Serenade 1, currently gliding along the Rhine as she conveys us downriver from Cologne towards Amsterdam. Our hosts, Titan Travel, pretty much wrote the manual on organising escorted tours for British holidaymakers. Previously they have booked passengers on a range of other operators’ boats – as they continue to do – but for 2017 they have also chartered this 130-passenger river vessel for their exclusive use. Bookings have proved so popular that extra itineraries are being drawn up for 2018, and the company is now preparing to charter a second boat. 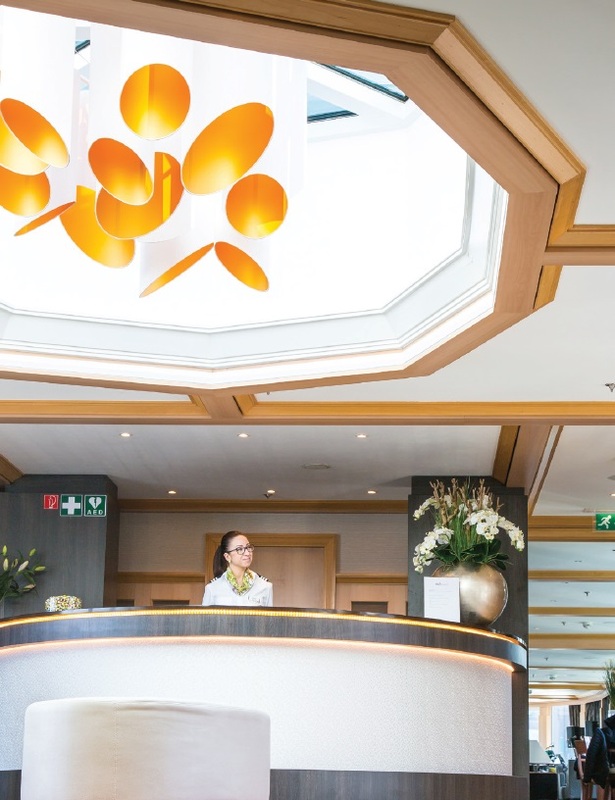 Regular river cruisers may already be familiar with Serenade 1, but Titan has given her a substantial refurbishment, brightening up the lounge and installing new carpets and furniture. With the exception of two balcony suites at the stern, all cabins are 172sq ft, with twin/double beds, flat-screen TVs, mini-bar/fridge, tea and coffee-making facilities, and ample wardrobe space. Unusually for river boats, the bathrooms actually have baths. On Beethoven Deck, the cabins have high-level windows offering a swan’s-eye view; those on Mozart and Chopin Decks have full-length sliding windows like patio doors, opening up to a French balcony. Two cabins are adapted for wheelchair users, a lift connects the inside decks, and there’s a stairlift to assist access to the Sun Deck. Also updated is the central lobby area, which is where you’ll find the beating heart of any Titan river voyage – the desk where the two cruise directors are based. 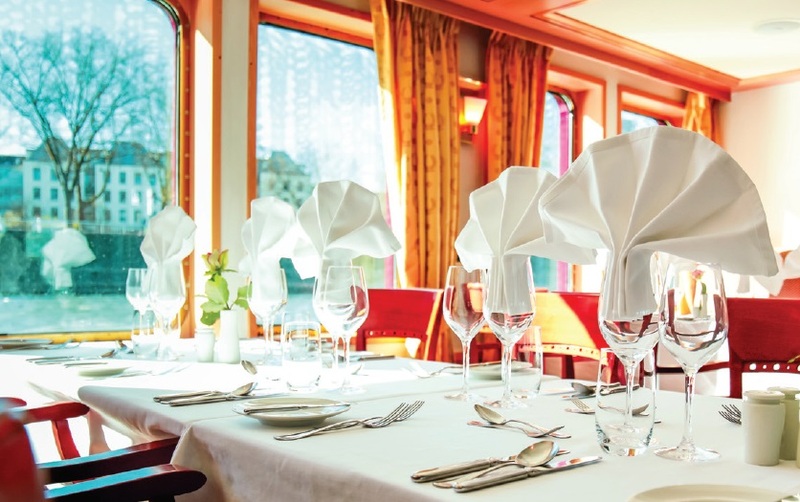 While the captain steers the course and the chef attends to pleasures of the palate, these knowledgeable people take charge of everything else the cruise involves. Their announcements preface every event, whether it’s “breakfast is served” or “tour groups should now assemble”. Wherever the vessel may be, you can be sure they have been there, done it, and earned the T-shirt several times over. When it comes to the actual excursions, however (all of which are included in the fare), they hand over to local guides. On my cruise these trips included a less-than-enthralling tour of the building site that is Arnhem. Once we had dealt with the Second World War’s Bridge Too Far, the morning walk turned into a game of dodge-the-builder around acres of street works. The following day’s visit to the picturesque Dutch town of Hoorn was much more interesting. Just 22 miles north of Amsterdam, across the Markermeer, this important harbour town was a home base for the Dutch East India Company and gave its name to Cape Horn at the southern tip of South America. The town grew rich from trading, first in spices and later in slaves, then declined into a quiet fishing village. Today just a handful of those working boats survive, alongside ranks of pleasure vessels in the harbour. Thanks to that rich history there is almost a surfeit of fine houses, churches and statues, and a 16th-century tower guards the harbour (though it will do nothing to protect your wallet from the many enticing shops and restaurants). Fortunately we needed no such help, because after a fascinating morning’s stroll we were due back on Serenade 1 for lunch and the short cruise to Amsterdam. A Titan cruise includes the company’s VIP door-to-door travel service, return flights, all on-board meals (including a six-course Captain’s Gala Dinner), wine and beer with meals, wi-fi in public areas, excursions, and the use of VOX audio headsets. But pleasant though all this is, Serenade 1 is first and foremost a value-for-money vessel, and not as sumptuous as some other river cruises marketed by Titan. It’s a point appreciated by managing director Andy Squirrel, who tells me that his sales staff are careful not to overstate the virtues of the ship and leave regular customers disappointed. If you’re expecting six-star luxury, that might be a danger. 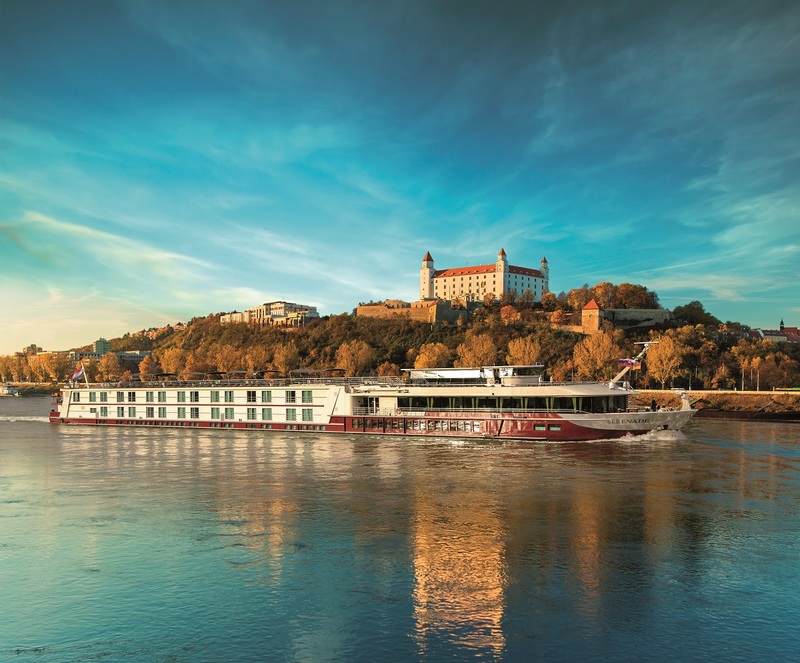 But if you simply want to cruise Western Europe’s greatest river in comfort, and in the hands of a company that knows its business – and its British customers – inside out, Serenade 1 is more than worthy of your consideration. The new five-day Traditional Christmas Markets on the Rhine itinerary offers the chance to embrace the festive season, with prices from £629 per person, based on 14 December 2017 departure. There are stops in Koblenz, Frankfurt and Rüdesheim, plus a walking tour of Mainz, taking in magnificent squares full of festive wooden market stalls. This no-fly cruise also includes Eurotunnel or ferry crossings, four nights’ cruise on MS Serenade 1, most meals, the services of an experienced Titan tour manager and Titan’s VIP door-to-door travel service. Also new is the chance to celebrate Christmas in style with an eight-day Christmas on the Rhine cruise. Prices start from £1,499 per person, based on 21 December 2017 departure. You’ll spend Christmas Eve enjoying a guided tour of Speyer, one of Germany’s oldest cities, then walk off those Christmas Day indulgences in cosmopolitan Strasbourg. Prices include scheduled British Airways direct flights, seven nights’ cruise on MS Serenade 1, a total of 20 meals including the Captain’s Christmas Eve gala dinner and Christmas Day gala lunch, three excursions, the services of an experienced Titan tour manager and Titan’s VIP door-to-door travel service. The season kicks off in March with a six-day Dutch Waterways and the Beautiful Keukenhof Gardens cruise. Prices start from £1,149 per person, departing 31 March. 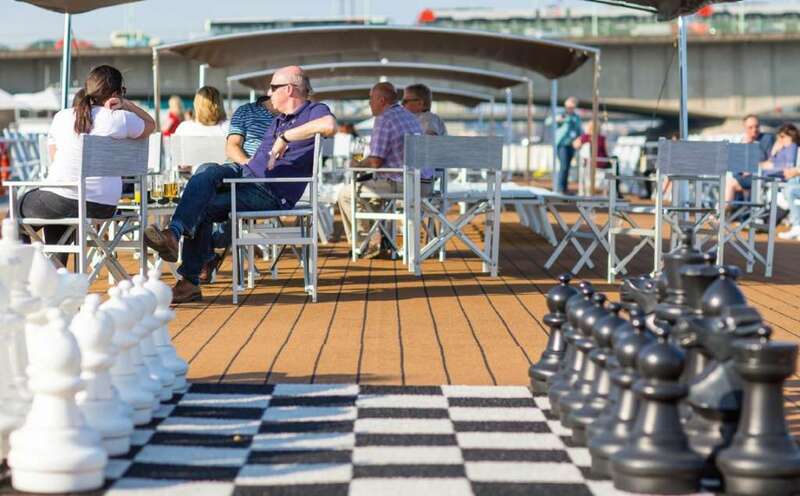 This no-fly cruise includes a city tour and canal cruise in Amsterdam and a lecture on tulips before visiting the famous Keukenhof Gardens, a 32-acre showcase of seven million flowers. Further highlights include Hoorn and Enkhuizen, which both became wealthy in the 17th century from the Dutch East India Company, and the picturesque village of Zaandam Schans, home to no fewer than six beautifully preserved Dutch windmills. Prices include Eurotunnel or ferry crossing, five nights’ cruise on MS Serenade 1, a total of 20 meals, three excursions, the services of an experienced Titan tour manager and Titan’s VIP door-to-door travel service. For a longer cruise, the comprehensive 17-day Eastern European Odyssey itinerary starts from £3,249 per person, based on 11 June 2018 departure. Sailing through seven countries, this follows the Danube from Budapest to Romania’s Black Sea Coast. City visits include Budapest, Belgrade, Bratislava and Vienna, and there’s a daylight cruise through the dramatic Iron Gates gorge. Prices include scheduled direct flights, 16 nights’ cruise on MS Serenade 1, a total of 47 meals, five excursions and visits, the services of an experienced Titan tour manager and Titan’s VIP door-to-door travel service.